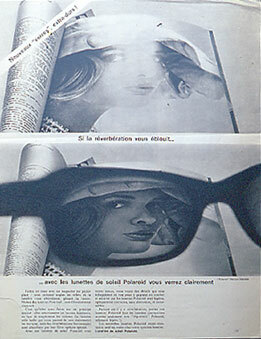 Calderwood came by one day and asked if I could come up with an idea or two for magazine ads that show how polarizing works in sunglasses. This is a page from Elle, the French magazine for women, that probably goes back to 1958 or 1959. I think the ad was produced by DD&B because that is one good looking young woman. But I digress . . . .